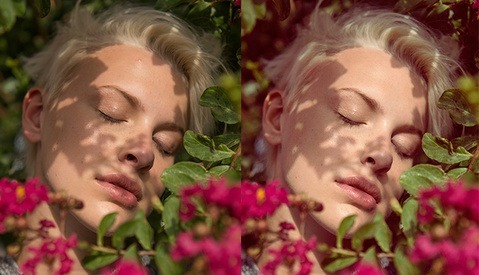 Photoshelter is hosting a webinar featuring retoucher Kristina Sherk this week, and to advertise the webinar they posted an animated gif showing before and after Sherk got her hands on the image. I was shocked, as Sherk not only easily erased 10 years off the model, but even more amazingly did it without making it look fake. Unfortunately, the webinar closed because it filled, but Photoshelter will be posting a recording of that webinar on their blog later in the week. Amazing right? 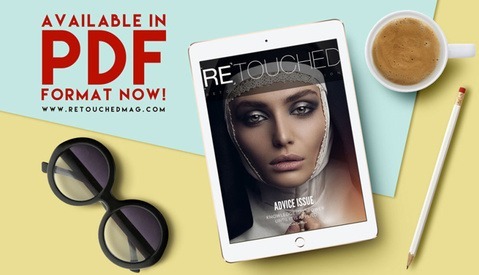 UPDATE: It has come to Fstoppers's attention that in our original article showing the outstanding retouching work of Kristina Sherk and her upcoming webinar, we neglected to put the image (and the retouching applied to it) in the proper context. Having only what was written on the PhotoShelter Blog, we lacked the back story that properly contextualizes this image. In an effort to quickly publicize the webinar being hosted by PhotoShelter and SharkPixel.com, we failed to check into the full story behind the retouching. Thus, giving our readers a fragmented frame in which to view Kristina's work through. Sherk’s original purpose behind retouching this image was strictly for educational purposes and is to be included in her upcoming instructional retouching DVD. Her intent with the image was to show the possibilities of post production, but with the stipulation that though it can be done, retouchers should take the skills learned in creating such a piece and utilize those skills in the degree they see fit for their client's needs. "without making it look fake" that's very relative. If you say it would fit perfectly on our magazines standards, I'd agree with you. But personally, I'd go on a different direction, specially on the fingers. But amazing job, for sure. holy crap...shrunk her ears too. Thanks for the tip! My work is always in a state of change and I welcome all types of critique! I'll keep that in mind when I re-edit this piece! How did you do the ears?? I'd darken the fingers a bit since they are slightly brighter than the face in the original state and draws some of the attention away from her face, but I wouldn't get rid of the highlight that gives the fingers their depth like what seems like it has been done in the after state. Truly amazing. An Artist of the 21st century! Hi Gabriel, Thanks for your comments. While I can't speak for FStoppers, I can speak for my business, and I'd love to hear any critiques or comments you may have on how I can improve my craft. Please feel free to email me via the comments page on my website. Best, Kristina Sherk (retoucher). The internet doesn't let you be blunt, but being a kind of a jerk does! Florian's work is beautiful, but are you sure he actually does his own retouching? Does he have tutorials out there? I love that all of sudden all you guys become America's next best retoucher. that's my favorite part too. Everyone'san expert. You do not have to be "America's next best retoucher" to look at a photo of someone and feel or think that the skin looks unnatural. Much respect for keeping your cool here. That takes a lot of integrity. Your skill is clearly doing great, and if this is what the client wanted, then you hit it out of the park. PERSONALLY, I like a little bit of chaos in my work and I think the one thing on the face that makes the piece look off is the area between the nose and the mouth. The uniformity of the skin tone and topography kind of kill the shape of the cheek and it makes the mouth look like it's just floating on a flat surface. What baffled me most was the question of how can a woman with such a bad skin become a pro model ? Let's pretend the makup artist did an awesome job her skin still is ugly. Other than that, this is what we get served 10 times a day in ads, commercials and billboards. Don't know what is so great about. Have you seen the state of pro model skin? Its far from perfect. Kristina has done an ok job at it, I personally think she has gone a little too far and although kept skin texture the uniformity of it can make it look too fake. Its usually the bits around the mouth that look most fake to me but in all honesty this is better than a lot of the campaigns out there.